in 1 day with our template! 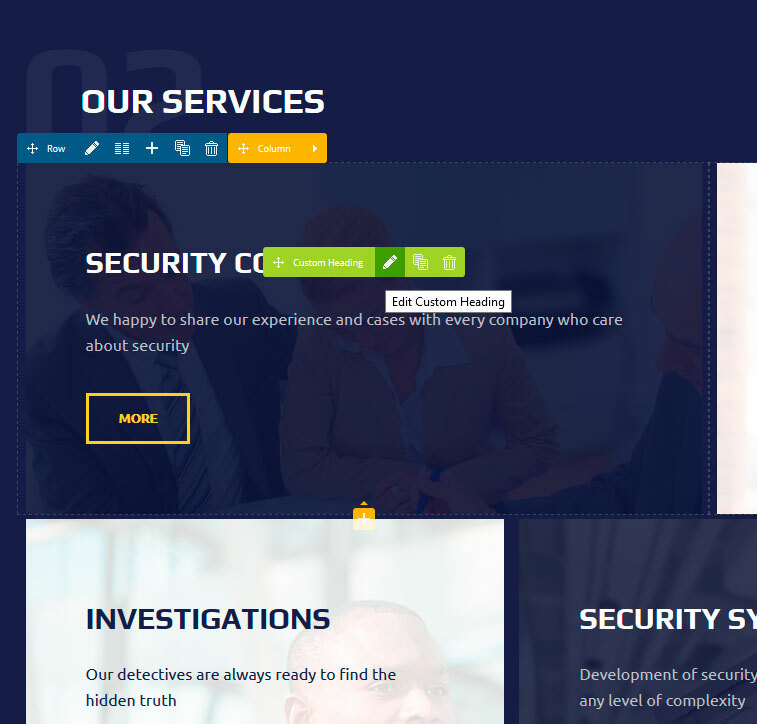 The website template suits the security agency, CCTV service providers and gets the website ready in 20 minutes with demo content. Boost your sales by bringing your business online. 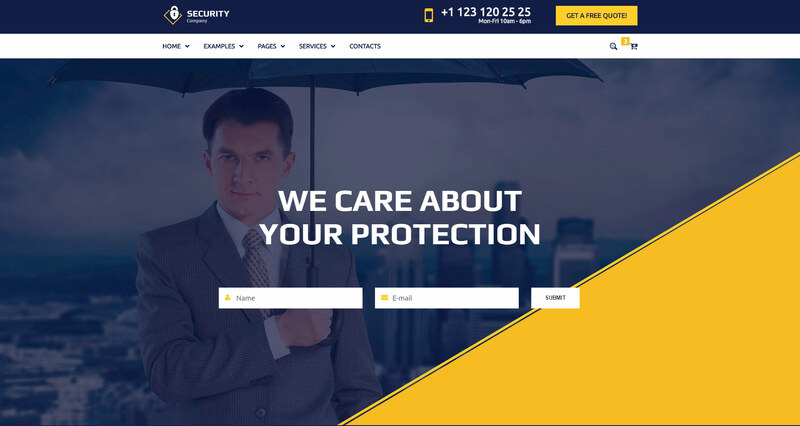 Choose Security Services Website Template You Like! 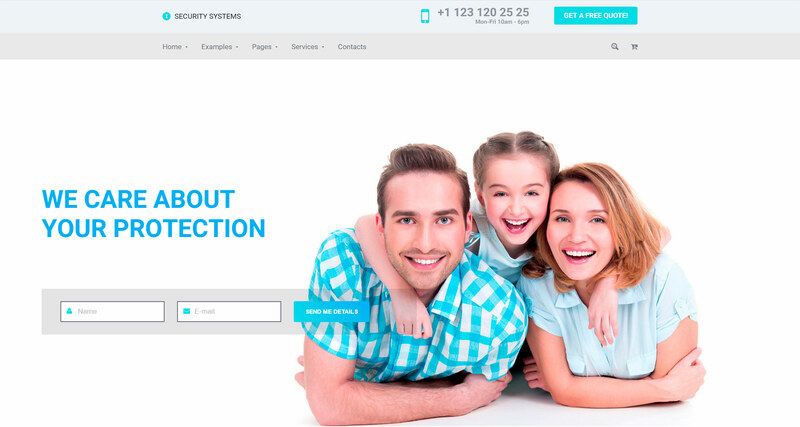 The exemplary Guard theme of the WordPress can be apt for CCTV ans security services companies. This template with the Page Builder and Visual slider options comes in two distinct styles and 8 home pages. 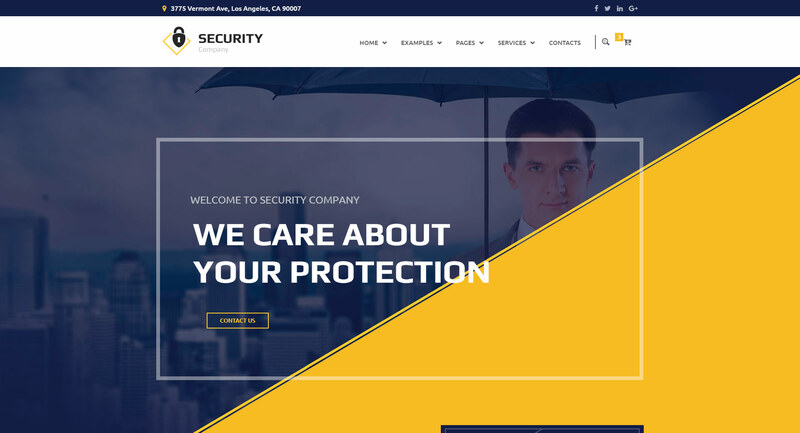 Just go ahead and pick one style for your security agency WordPress theme, and get your company website in no time! ! Do you want to stay ahead and reach out more? 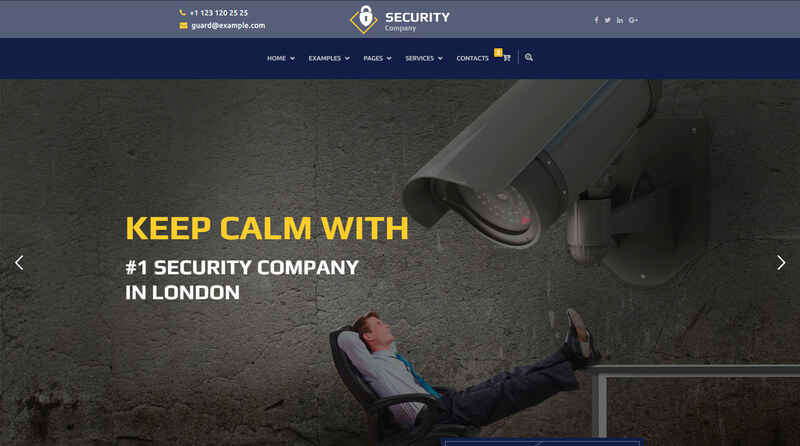 Get your Security or CCTV Agency available even on the Mobile phones and tablets thanks to our Responsive layout and fast to load the site. 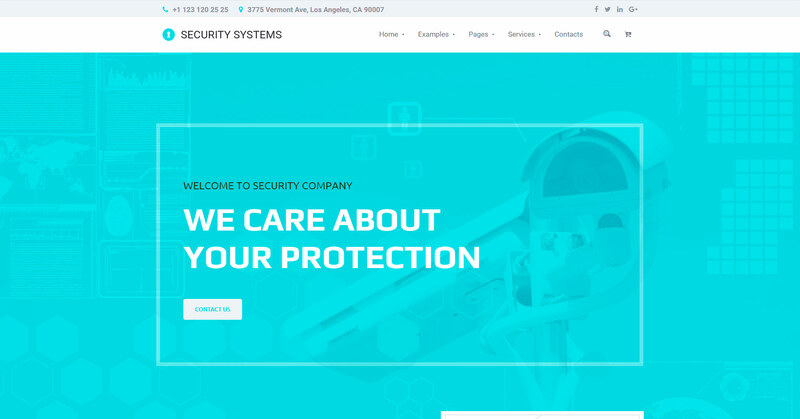 Security company WordPress theme looks great on any device, from mobile to desktop and beyond. Our responsive design fits to any screen, and clean code means it load fact too. The Guard Secretlab offers two variants of Header and Menu layouts. One is for the agency that aims to create a flutter in the heart with a bright color combination and one for the subtle, and soft colored layout. Reaching out to various tabs and other pages or even get to locate the phone number and email on the site is simple. You can go for the light colored or dark colored single or double tiered menu for simplifying navigation options. The effective template is ideal for maximizing the number of visitors to your site. Your security company website template will offer better visibility thanks to the Search engine optimized site layout. You will be able to customize the site as per your requirement. The drag and drop page builder and editor will be helping your security services company to look more appealing. : This is a great plug-in for creating an amazing slideshow of banners. The template has a database of over 750 unique fonts to use on the site. You can customize topbar, menu type, search, cart in the CCTV wordpress theme. Choose from any of the seven attractive headers for making a stunning impact. Choose any color that ﬁt your brand. Set sidebars, background and sliders for any page. CCustomize not just the content and the fonts, but even create sidebars for CCTV Camera WordPress theme. Showcase your services, write strong call to action statement, or display your social media presence and connect with readers. Build your page quickly without extensive knowledge of website development. Create any number of columns on footer and display any kind of content or contact forms with visual page builder. Expand your reach and approach wider audiences through local as well as international languages. Get a mockup in PSD to allow you to visualize the real face of your site. Choose from the many effective plug-ins that enhance the prowess of the site. Rich customization opportunities in theme options. Unlimited animation options in the CCTV website template. Add the cart option and get your site to sell any products too. 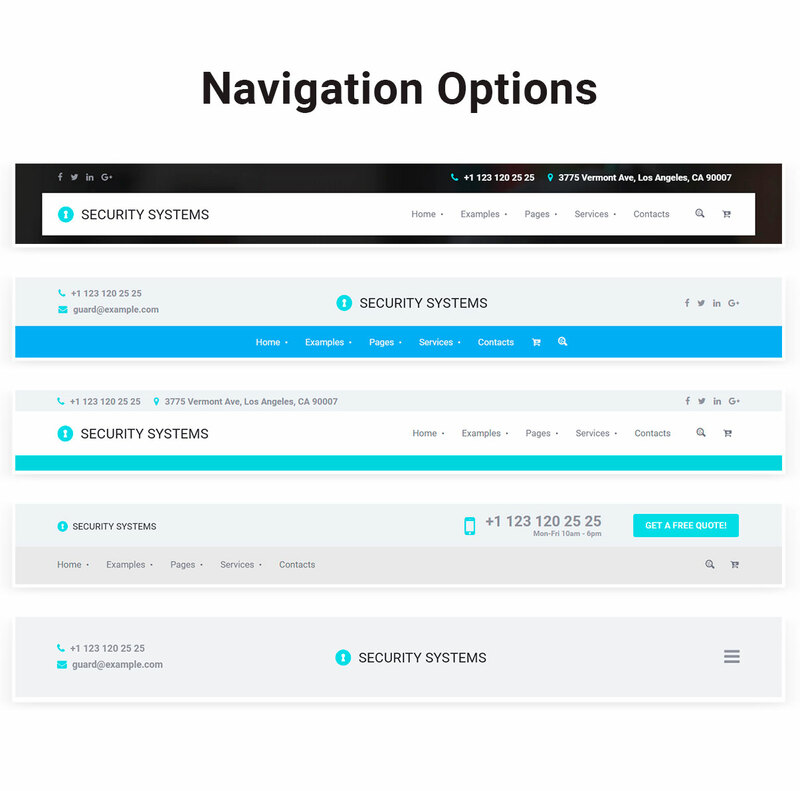 We include a font with 3 sets of icons: 572 general icons and 60 security related icons. Set your video for row background or header slider. 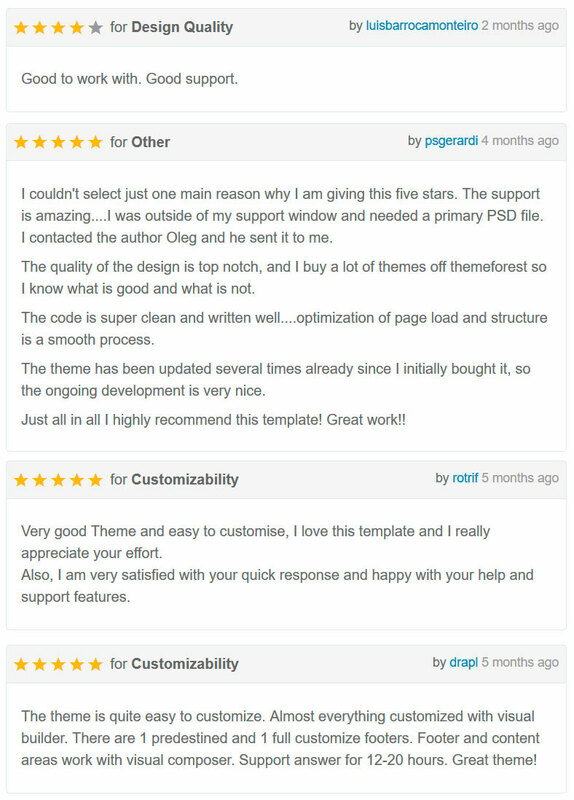 What our customers say about the security services company website template? Let Your Site Bring in Money! 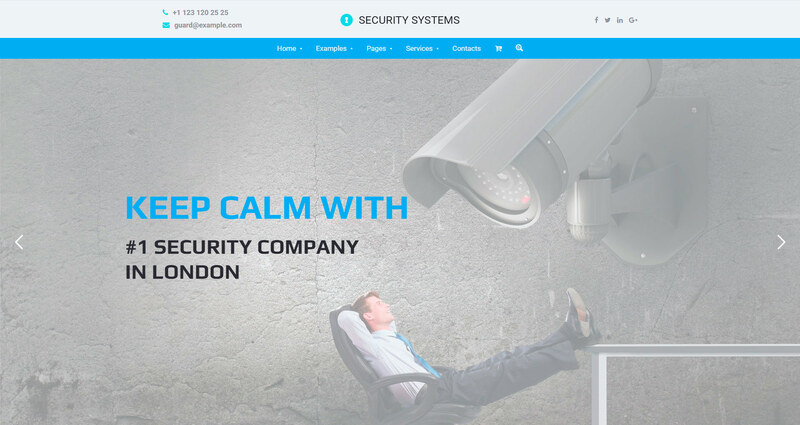 Make the lasting impression with the visually captivating WordPress theme for CCTV/Security services agency! 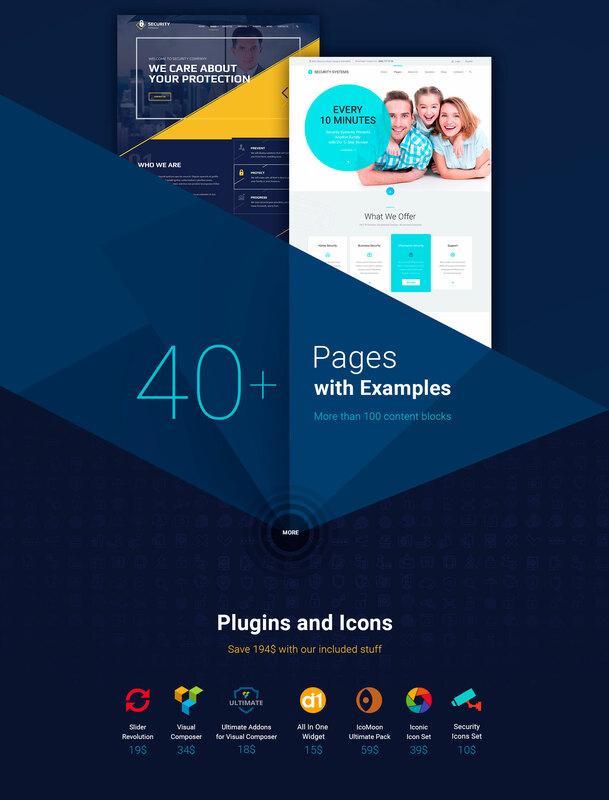 Atiframe Builder 2018 WordPress Theme is our best template and contains all technical functions you need, visual header/footer editor, high performance, last mobile first and SEO ready practices!